HERE'S AN AUSTRALIAN WORLD FIRST! We have built LIVE websites for your Products & Services! typically 100’s of hits a month. You can have these Lead generating Page 1 positions within 24 Hours! • We never touch your existing site. With Ranked and Ready™ you get your Business, Products & Services on page 1 Google search results within 24 Hours! This is the New Net! No more waiting for months / years to slowly move up the ranking. It’s all about Results Now! Google, Yahoo, MSN, Bing, AOL and Ask.com. Your Search Results Are Guaranteed. Results First – Pay Later! You can cancel anytime simply by not paying us our monthly fee! Get some of the Worlds smartest internet Mind’s on your side generating New Business for you. Call us today. Why / how are we able to do this? There is No Risk to you doing business with us. Just give us the go ahead and we will show you what we can do for you. Raise revenues by increasing number of leads and sales with boost in visitor traffic. Ranked & Ready drives only qualified visitors to your website because visitors qualify themselves. They take the initiative to turn on a computer, open a search engine, type in a keyword then click on your site in preference to others. Target qualified customers in your business area for your products and services. Expand by geographic areas or reinforce existing market share throughout Australia. Become key industry online player by capturing competitive, and profitable search spots on Google, Yahoo, MSN, Bing, Ask.com, AOL and other search engines. Ranked & Ready provides search result success to many 100’s of clients from sole traders to many of the World’s largest multinationals. We have decades of experience in website design and software programming to achieve all of your search marketing goals and go beyond. We know there is a budget to work with and that budget has to turn into revenues within a time period. Ranked & Ready works closely with your team in order to achieve and surpass your objectives by driving targeted and motivated customer prospects to your site. Reduce cost of acquiring new customers by targeting them on search engines with keywords that receive highest search volume and deliver highest conversion rate. Increase brand awareness by increasing traffic from third party industry websites via Ranked & Ready link enhancement services. Know what your competitors are doing, take advantage of their weaknesses and position your organization to compete with their strengths through Ranked & Ready website & competition analysis. Ranked & Ready understands that to succeed in search marketing and bring measurable results that speak numbers you require a strong partner that gets search results and understands your objectives and works in tandem with your revenue goals. 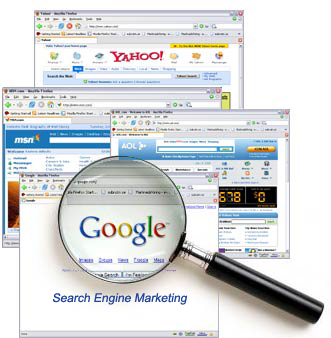 We offer advanced search engine services untouched by any of our competitors such as customized targeting of your customers by geographic areas, full focused lead generating campaigns, in-depth research into the language your customers use, all round awareness of competition, online industry trends and more. Ranked & Ready aims to form a long lasting relationship with your company and we are confident we meet your criteria for professional partnership. and propel your company to the best spots on leading search engines. Once the site is generating leads - we customise the site with your content and your contact details. This way you get an INSTANT high ranked website that is generating leads immediately! What matters is that your Company / products or services are on Page 1 for what a client Instinctively Types when searching for your products and services. We won’t lease a site until it is on the first page of Google … No one else in Australia GUARANTEES that. Today almost all new business comes from the net. Leads are often harder to get than sales! We build websites that we get you ranked on page 1 of Google BEFORE we get paid! We have clients sites that are generating 1,000s of hits per month . Owners of over 80,000 domain names. Designing and implementing leading edge computer software and solutions for Fortune 500 companies and governments in 12 countries. Published best selling business books on sales, influencing with integrity, management & marketing. Our directors have owned major companies in Australia, the USA, Asia, South Africa & New Zealand in direct sales, marketing, manufacturing, exporting, franchising, e-commerce, and major income earning websites. The Internet is the most exciting development and structure to secure new business in Australia’s corporate history. And it’s virtually free if you know what you are doing. Look at the internet as being like an ocean with websites bobbing around like corks, dinghies, fancy yachts and weekend family cruisers... most of them are full of holes, are lost in a storm, trying to stay afloat, or just floating around hoping to be noticed in a harbour with thousands of other similar craft. 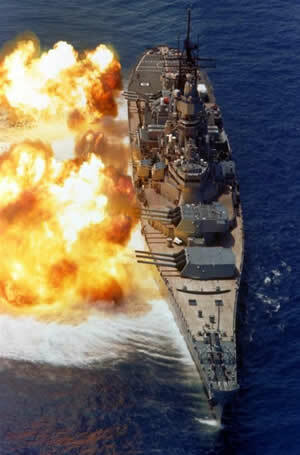 That’s not our style; Ranked and Ready builds Internet Battleships... big, dominant battleships that create a presence that can’t be ignored. The harbour may be full of yachts and cruisers content on their moorings... when we arrive, the floor plan goes out the window. We take the position we deem best and everyone else can work out what’s left. For people like us who have owned businesses for over 30 years, all of them driven by lead generation and sales skills, working with the internet is a marketing and lead generation wonder. It’s like having 10,000 telemarketers generating leads 24 hours a day, 7 days a week or sending out hundreds of thousands of leaflets a day, or being able to get full page ads in position one with the yellow pages at no cost (when the yellow pages worked). Today, the major source of all new business comes from the internet. Newspaper ads are failing and directories such as the yellow pages are seeing numbers reduce monthly. People use the Net mostly for SEARCH and COMPARISON - NOT BUYING ! People use the internet to search and compare. To capture leads and business you need to be seen with your products and services all over the net in the Google results of what is typed by potential clients. It absolutely amazes us that most web site designers / programmers or so called internet specialists have NO IDEA about the value of capturing leads; most have never sold anything in their lives and only want a site to look good to themselves and their peers. With the internet - Leads are often harder to get than sales! EVERYTHING we do is about generating new business. Forget about corporate awareness advertising...those days are long gone. 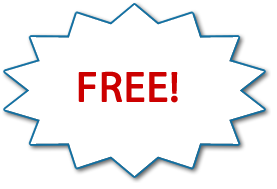 Generate leads and inquiries and the corporate awareness comes free. We are not time wasters. Ranked & Ready GUARANTEES results. Give us a call or email for a free consultation, we will tell you in 5 min what you can expect from the net for your product type / location and such. We can also tell you how many people are searching for your products locally and internationally and whether we can or can’t get you the Lion’s share of the searches.